News > Product > Make Switch, for which reason ? Make Switch, for which reason ? If the name itself is disconcerting, the worldwide famous product is also complex. Since 1966, Make switch answered specific requirements of high power or high Voltage type test laboratories. Electric laboratories aim at testing and certifying high voltage or high power electronic devices (circuit breakers, transformers, specific components…). Their certification is ratified once their resistance has been proved to short-circuit tests on the material. The role of the Make Switch is precisely to create this short-circuit. Make Switch enables to create very accurately (a few electrical degrees) this short-circuit under a high voltage (several tens of thousands of volts) or a high current (several hundreds of thousands of amperes). Pre-arcing time are very short. Moreover Make Switch is able to support a very powerful current during one second. The Interest of Make Switch relies on its ability to combine all above properties, contrary to other devices available on the market like circuit breakers or vacuum tubes. The world needs of energy steadily increase. These growing needs led to the growth of the testing facilities of the electrical equipment. New laboratories are being built in China, Korea, Russia, and India as well as in Europe. In parallel requirements are more and more demanding. Make switches must be able to operate under constantly higher voltage and higher current. 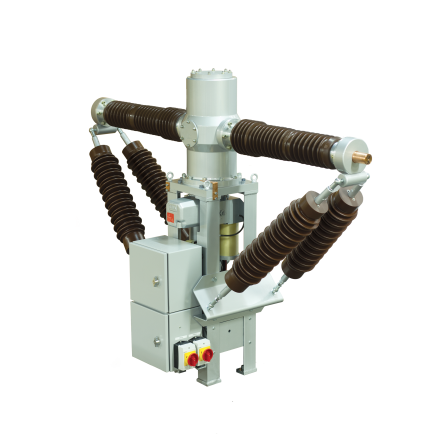 Etna Industrie foresaw this trend by developing machines able to create this short-circuit current under a voltage level up to 72.5 kV and a current level up to 325 kA peak. 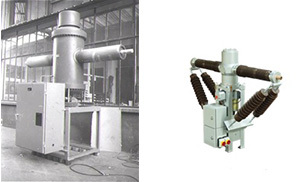 Etna Industrie developed its first make switch in 1966 for the test center of EDF in the site of les Renardières. For this moment the company can rely on a 50 years old feedback on this device category set up worldwide. However Make Switches have progressed toward more compactness and the introduction of mechatronics in their control systems. This entry was posted in Product on 7 February 2017 by Thierry Beauchataud.